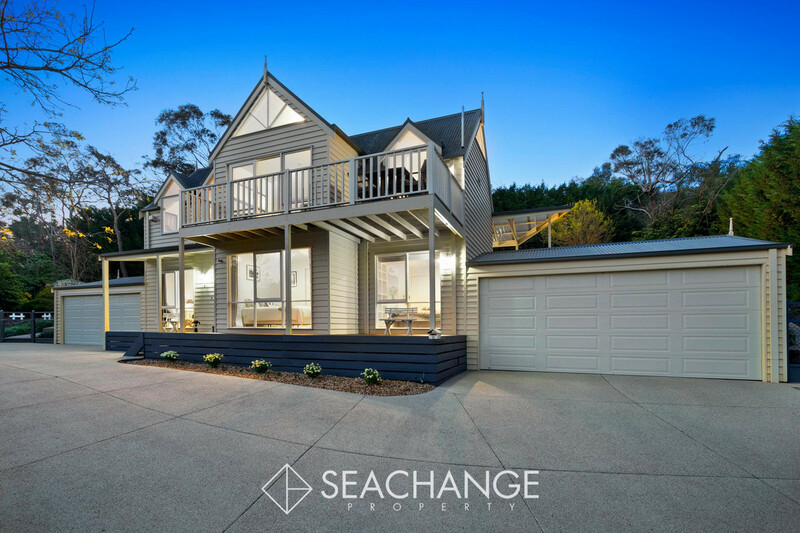 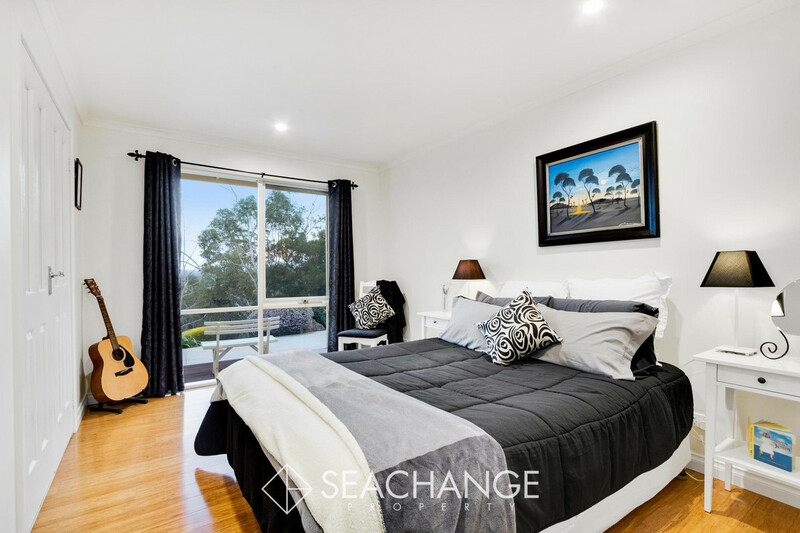 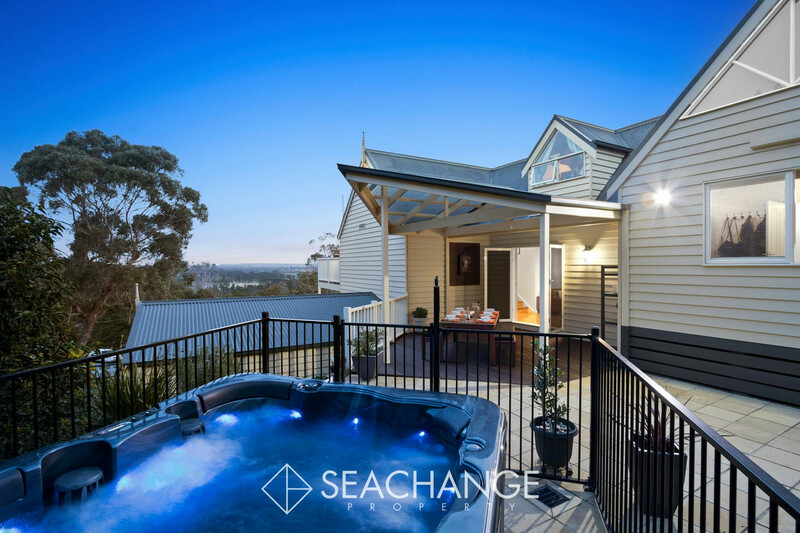 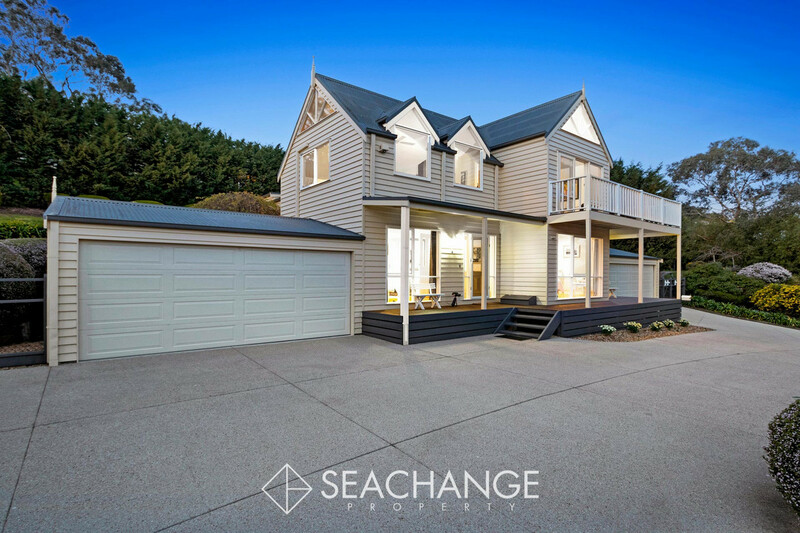 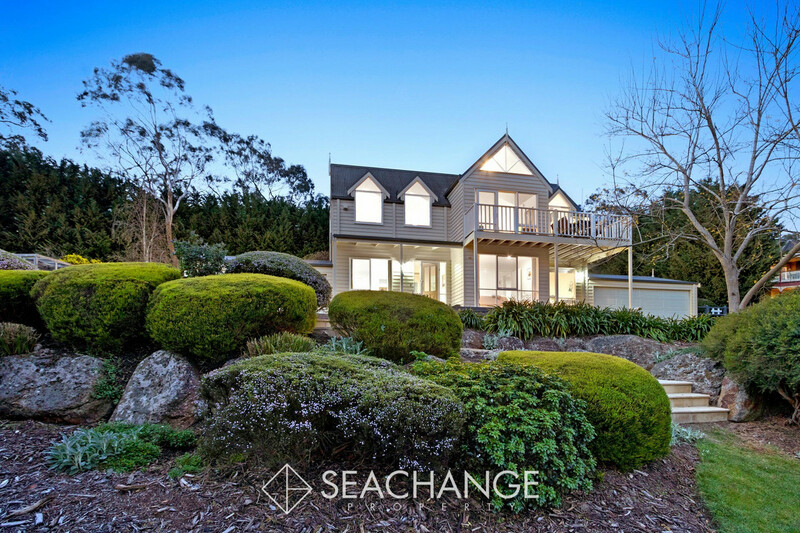 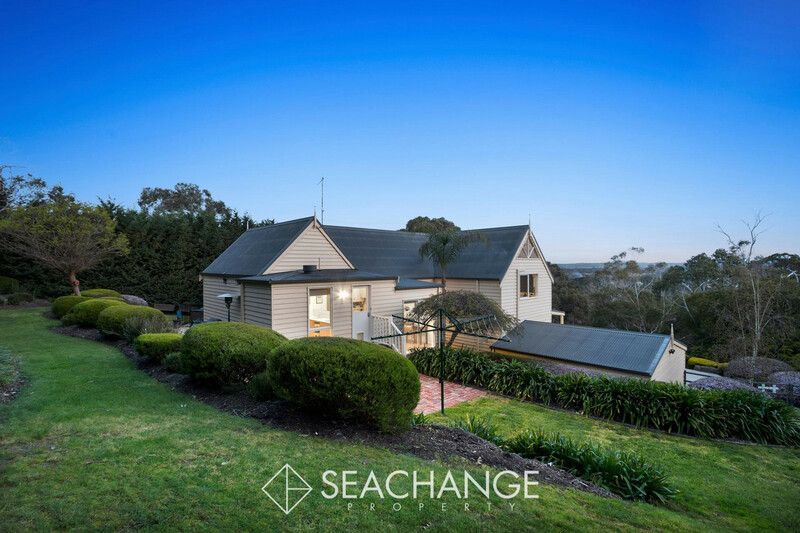 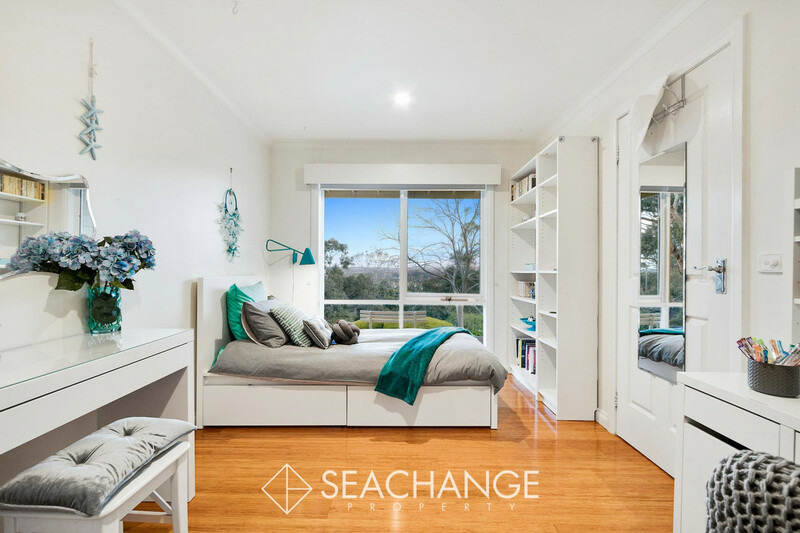 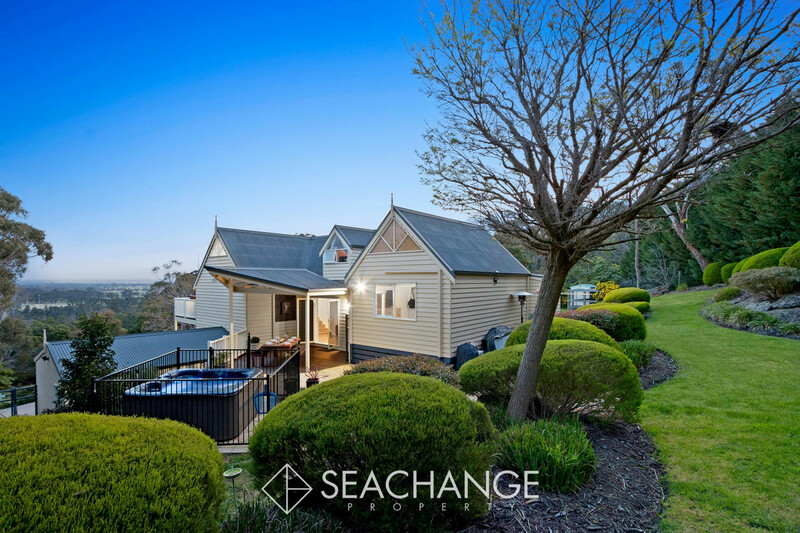 Positioned tall and proud in a secluded end-court position stands this gorgeous four-bedroom-plus-study residence with twin double garages on either side on this hillside home in leafy Mount Eliza. 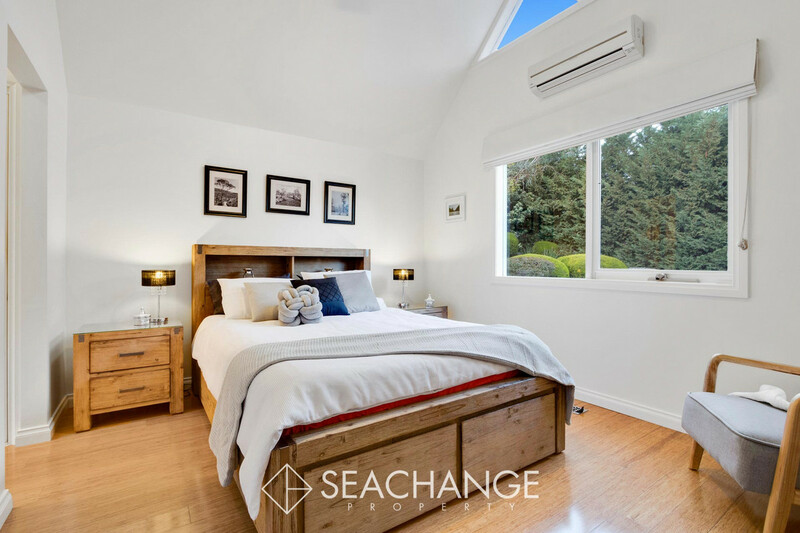 Defined by its endearing warmth and inviting family configuration, this property is set on a generous 1896m2 allotment (approx.) 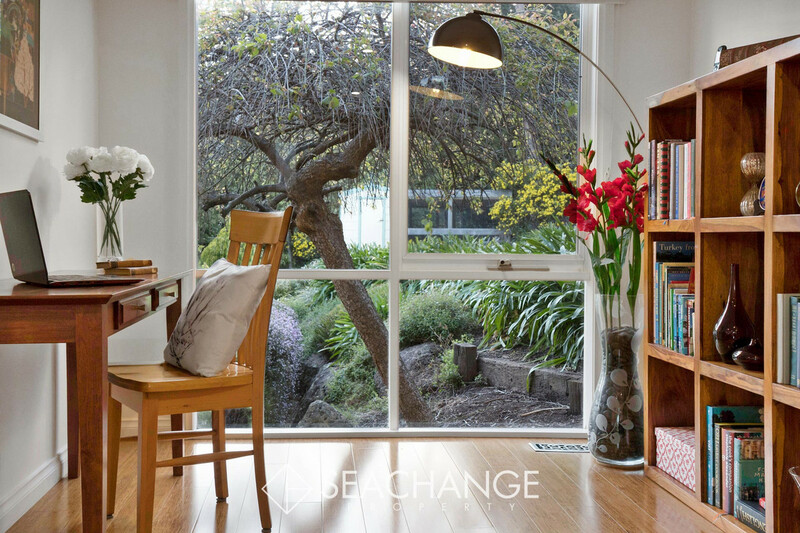 hidden away from the everyday. 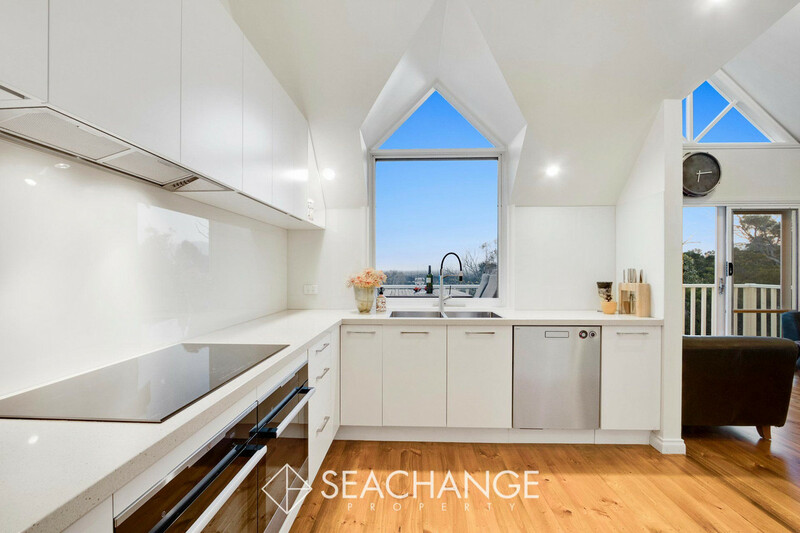 Storybook-inspired and flowing over four character-filled levels, the substantial floorplan offers seemingly endless accommodation. 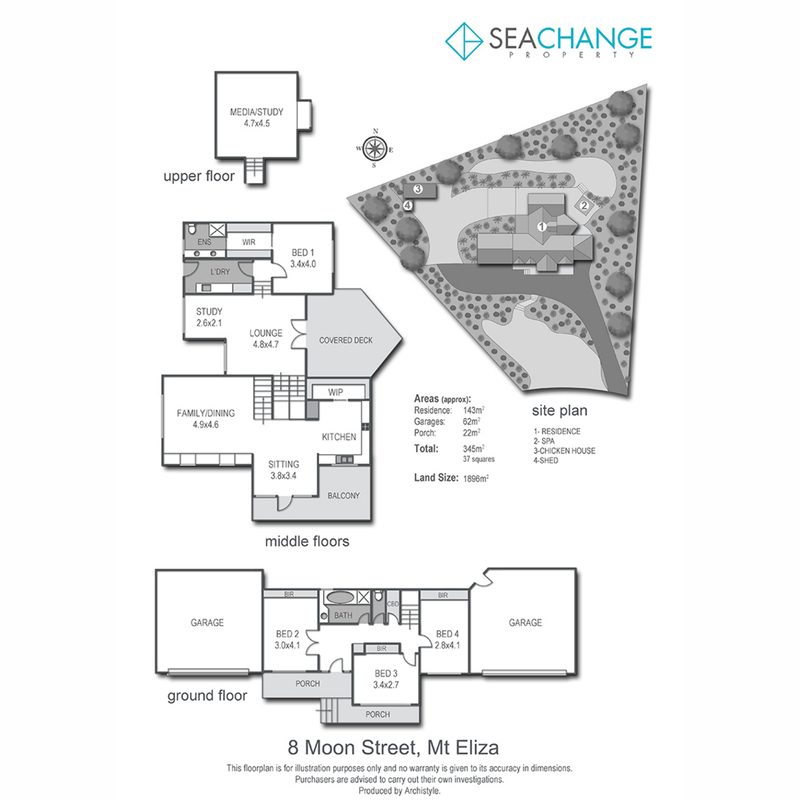 The zoned generous bedrooms are placed on the entry level along with the central bathroom. 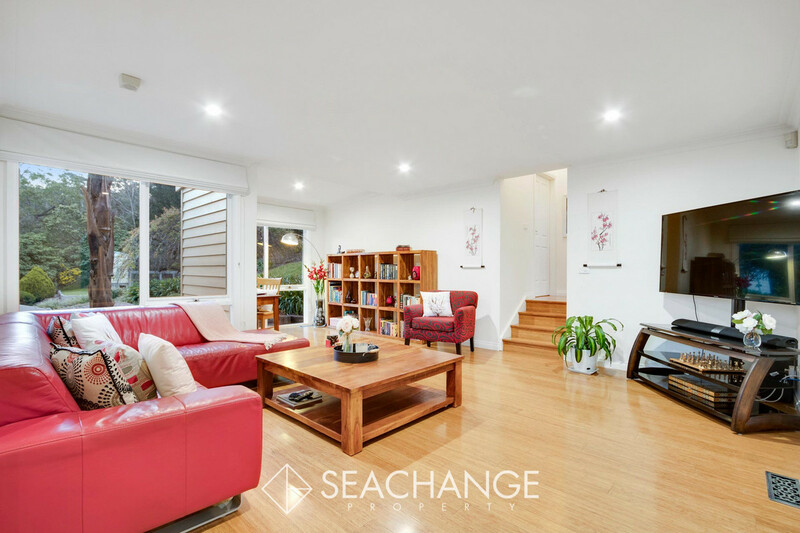 Upstairs is for versatile living comprising the cosy lounge room and split zones to the ensuited bedroom wing on one side and the family/sitting/kitchen space to the other. 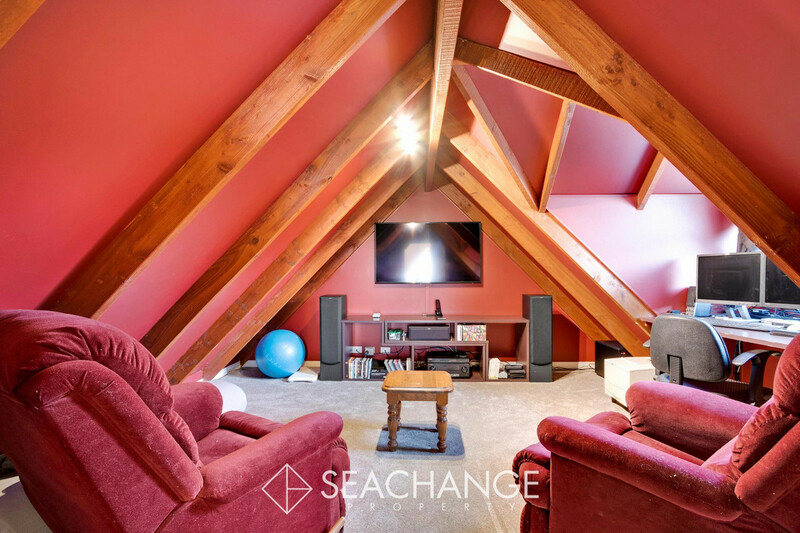 A media room is tucked away in the attic to watch the latest movies in theatre-like surrounds. 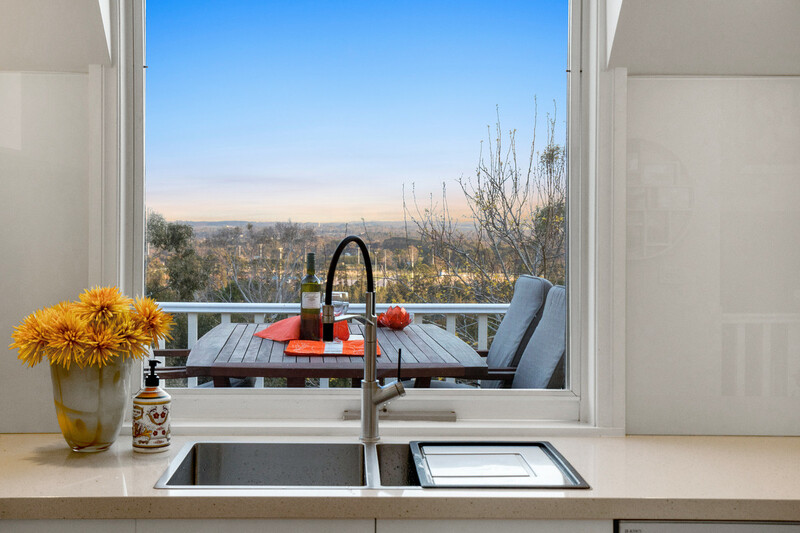 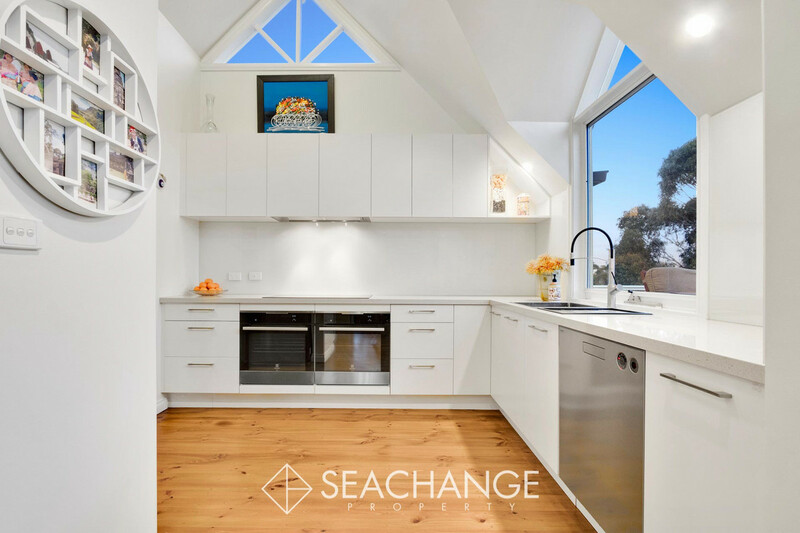 Brimming with updated style, the stone-topped kitchen comprises an Asko dishwasher, induction cooktop, two underbench ovens and handy preparation pantry. 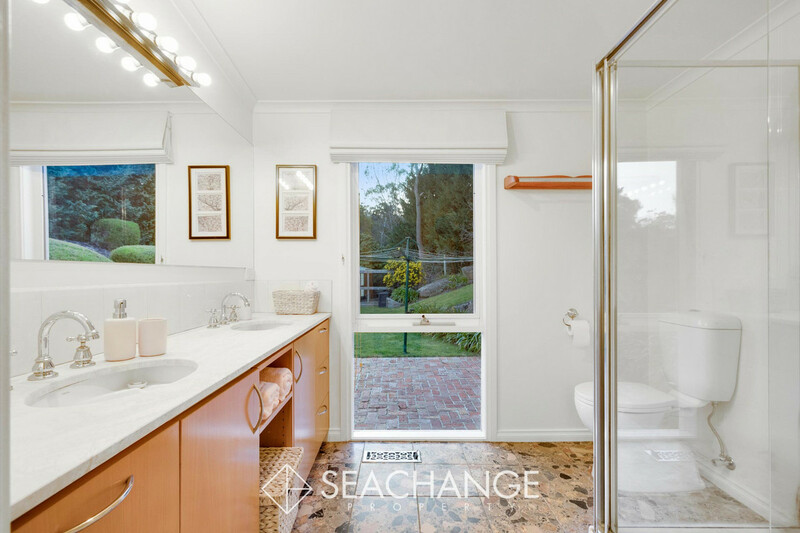 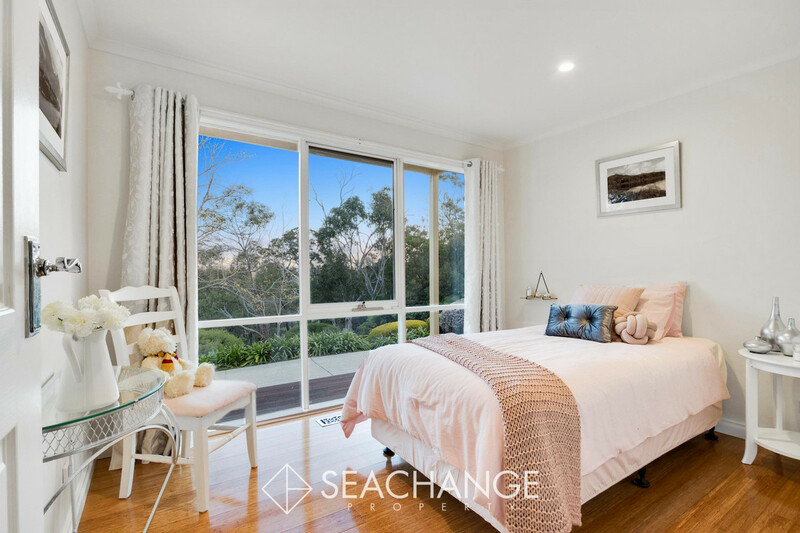 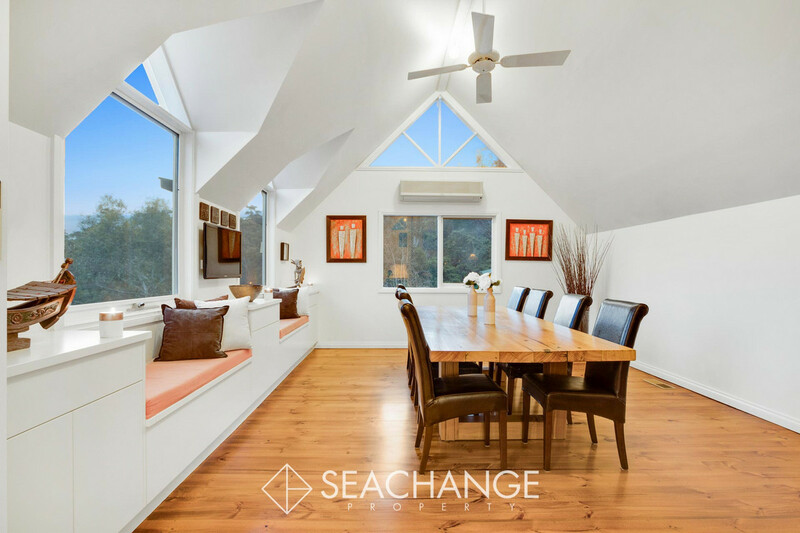 This home is surrounded by nature’s beauty, diverse birdlife activity and far-reaching views across the colourful Moorooduc Plains, local football club and magical treetops. 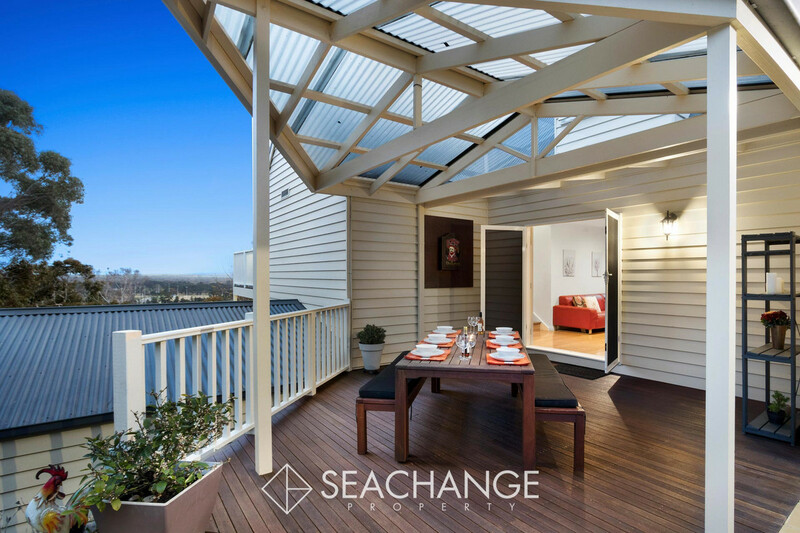 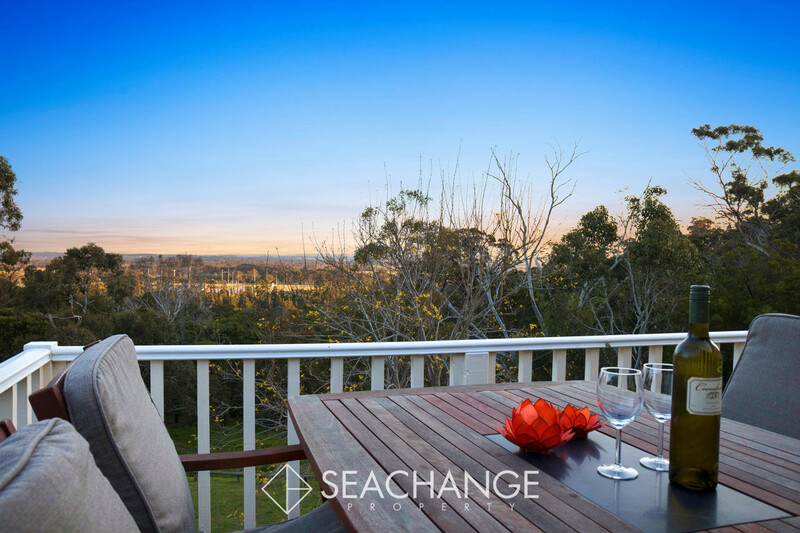 Feel on top of the world upon the front decked balcony where entertaining friends and absorbing the beautiful vista can be a daily occasion. 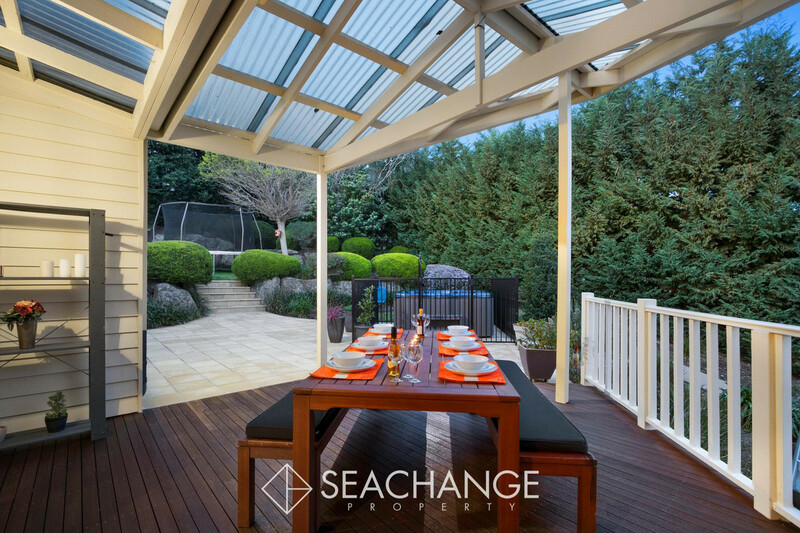 The lifestyle benefits extend to the covered alfresco area which adds a bubbling 8-seater spa. 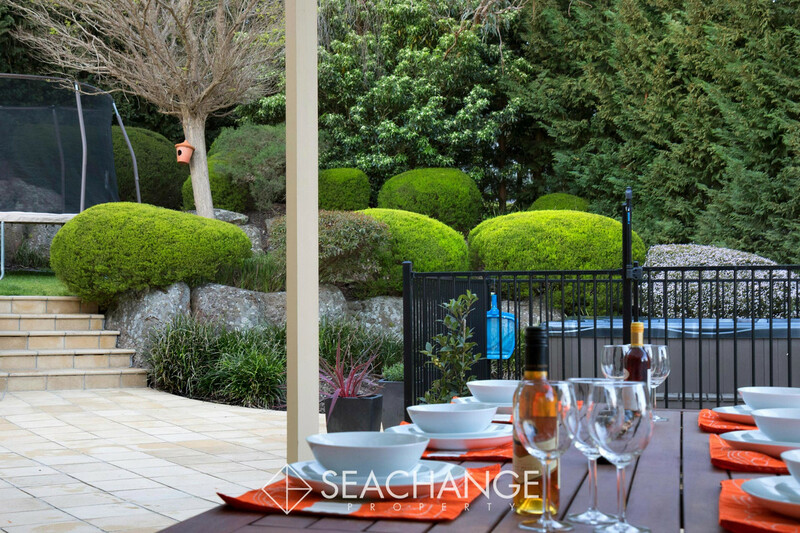 Established gardens are easy to maintain and there’s also side access for trailer, boat or caravan parking. 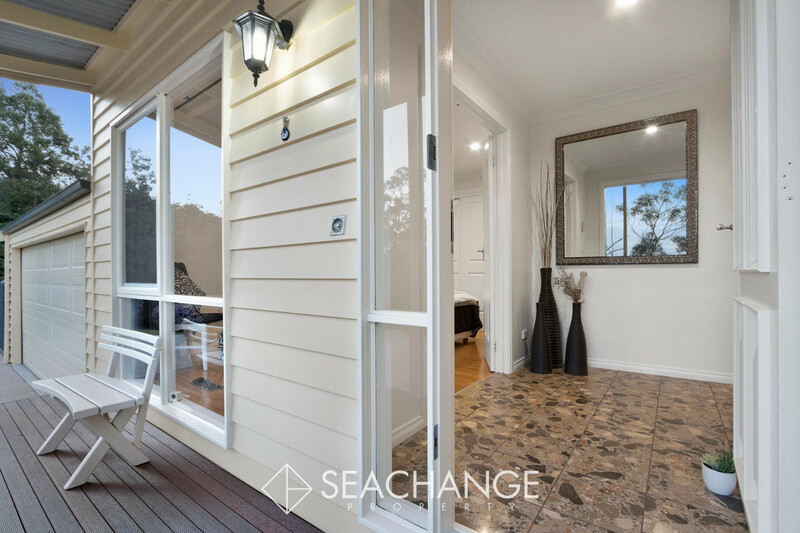 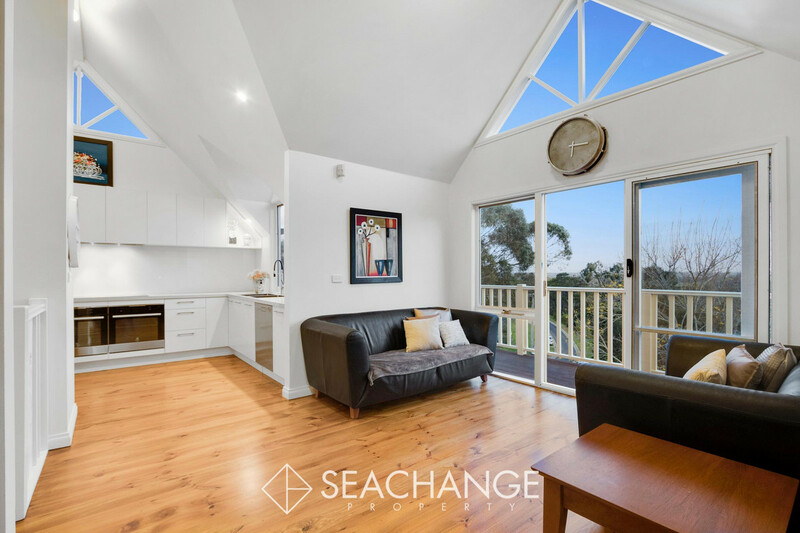 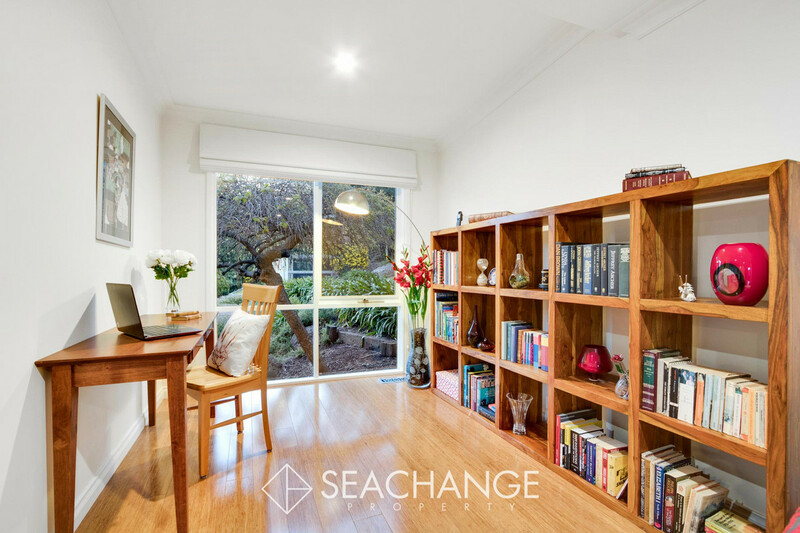 Truly out of the ordinary, this inspiring weatherboard fairytale home is located in a tightly-held neighbourhood nearby to Peninsula Link, Moorooduc Highway, Peninsula Grammar and the thriving village shops for every convenience.